I have discovered that not every student in the Biological Sciences department is aware of an opportunity to spend a year abroad as part of their undergraduate degree. In fact, it wasn’t until second year that I even realised myself. Obviously I knew it was possible to study abroad, but I wasn’t interested in taking classes in a different country; I wanted to do some kind of research in order to figure out whether to carry myself off down the scientific research path after my BSc. It turned out that for bioscience students, there is a chance to work in a university lab somewhere in Europe, provided Leicester has a link with the university (the list of partner universities can be found here). So after a bit of research and contacting a few labs, I suddenly found myself packing a year’s worth of stuff into a suitcase with a 23kg allowance. First challenge of the year. First of many. Obviously if I was to tell you in detail about the last year, I’d be here all day and most of you would give up reading after a few paragraphs, so I’ll try to keep it short but informative. I spent my year in Heidelberg, which is formally known as the romantic city of Germany (‘Ich hab’ mein Herz in Heidelberg verloren’ is a famous song about the city, which translates to ‘I lost my heart in Heidelberg’, which is completely true speaking from first-hand experience). It is in the region of Baden-Württemberg and the Neckar river runs through the city. It has a beautiful Schloß (castle) and the Philosophenweg, which translates to Philosopher’s walk, where famous philosophers were known to wander when contemplating their views on life (or whatever they do). It also has a restaurant called Schnitzelhaus which has 101 different kinds of schnitzel on the menu and is simply amazing. As you can imagine coming back to rainy England was a tiny bit of a crash back to reality, to say the least. I went to Germany knowing very little of the language (I did it at GCSE in 2009 which makes me feel very old), which initially I found very embarrassing. I was lucky enough to get a language scholarship from Leicester which paid for me to spend August doing a language course. Alongside this, I also got €250 towards my accommodation. I would strongly recommend going early to complete this course, it gave me a month to get my bearings and adjust to my new environment, whilst allowing me to brush up on some basic German. Despite arriving at the beginning of August not knowing a single person in the country, by the end of the month I had made a lovely group of friends, which I still speak to on a regular basis now (despite them living in Canada). Two of them are coming to visit in August which I’m extremely excited about. The language school arranged a lot of excursions and activities (often free) which meant I got to see a lot of Germany during this month. It gave me the burst of confidence I needed with my language skills to get me about on a day-to-day basis. 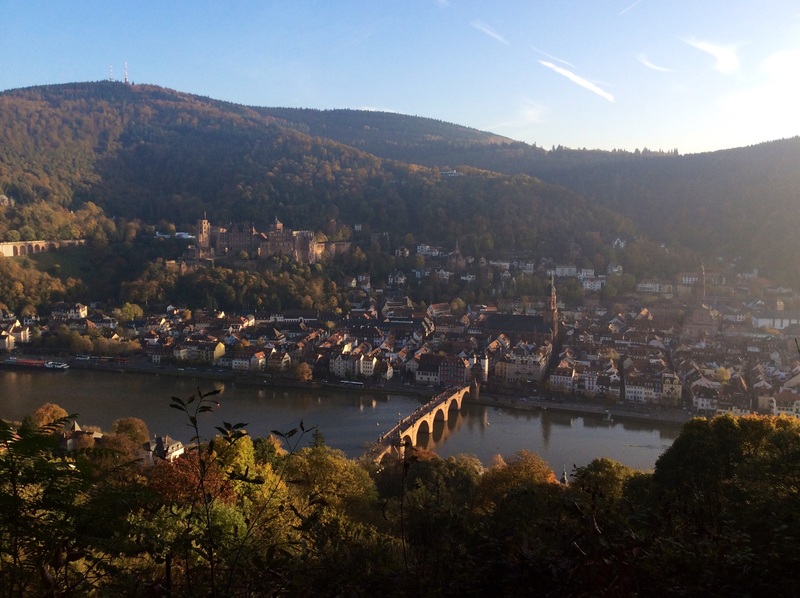 In September, I started working in a lab based in the BZH centre, at Heidelberg University. Here I will be honest and say it wasn’t an easy ride. If you are set on undertaking a year doing research, there are an uncountable number of benefits, but you have to remember that you are working in a real laboratory and you’re expected to conduct yourself to reflect this. There were times when I would be completely lost and I had to really work to understand the science behind the experiments I was performing. The days can often be long and you have to remember why you’re there when your other Erasmus friends only have classes two days a week and are travelling the rest of the time. But the experience I received was invaluable and it was worth every confusing and frustrating second. The highlight for me was when I gave a seminar to my lab head and the Master’s and PhD students in the lab, presenting my research project. Now I’ve done that, no presentation will seem as nerve wrecking, right? I now have 9+ months of research experience under my belt, which will hopefully help me a great deal with my third year lab project. I really can’t encourage students enough to consider taking this opportunity themselves. If anyone would like to ask any further questions, feel free to leave a comment at the bottom of this post and I’ll get back to you as soon as possible (although I am away travelling for the most of this month so there might be a few minor delays). I’ll do another post a little later on detailing all of the cool things I managed to see/ do during my year abroad so look out for that!